Self-professed NSA leaker Edward Snowden, shown here in an image taken from video during an interview by The Guardian in his hotel room in Hong Kong June 6, 2013. A growing chorus on Capitol Hill is questioning whether U.S. intelligence agencies are farming out too much work to private contractors like Edward Snowden, the Booz Allen Hamilton systems analyst who has claimed credit leaking classified details about surveillance programs. “Maybe we should bring some of that more in-house -- with employees of the federal government, with the oath of office that we take to protect and defend our country and that seriousness of purpose there,” House Minority Leader Nancy Pelosi said Thursday. In the days since Snowden professed to be the source of reports on secret surveillance programs, others in Congress have also expressed concern about the number of private employees who have access to sensitive information and suggested it will be the subject of hearings. While the average American may have been surprised to learn a 29-year-old civilian could tap into secret government files while drawing a paycheck from a for-profit firm, there is nothing new or unusual about it. Last year, 483,236 private contractors had top-secret security clearances, compared to 791,200 government employees, according to a report by the office of the Director of National Intelligence. Another 582,542 contractors had the less-stringent confidential security clearance, compared to 2.7 million government workers, the report said. 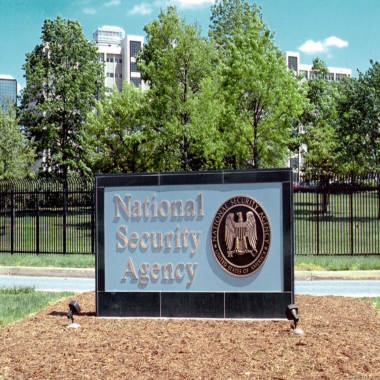 National Security Agency and CIA facilities have government employees with blue badges working side by side with contractors, known as green badges, performing similar work and reporting to the same boss at the site. Because intelligence contracts are classified, it’s difficult to nail down how much taxpayer money is going to firms like Booz Allen. In his book, “Spies for Hire,” author Tim Shorrock reported that a DNI official told an industry conference in 2007 that 70% of intelligence spending went to private sources. Experts say it’s part of trend that began two decades ago when an intelligence community that shrunk after the Cold War needed to ramp up and looked outside for technology and bodies without increasing the government head count. “The only reason we have contractors is because of a government that loves selling the myth of the smaller government,” said George Washington University law professor Steven Schooner, who specializes in government procurement law. The amount of intelligence outsourcing skyrocketed after 9/11 as the budget and the demands for data collection and analysis and other services ballooned. Giant firms like Booz, SAIC and Northrup Grumman got big slices of the pie, but smaller firms also lined up. Richard “Hollis” Helms, who worked on counter-terrorism for the CIA for 30 years, started a company called Abraxas after retirement with $5,000. Four years after 9/11, it had 225 employees, many of them government retirees. In 2010, it was sold for $124 million. The benefits of such outsourcing were being debated well before the time when Snowden says he copied files at his office in Hawaii, fled to Hong Kong and leaked the information to reporters. One 2008 congressional report cautioned that the annual cost of a private employee can be double the cost of a government worker, though others note the feds can avoid pensions and other legacy costs on the back end with contracts. Contracts are also a way to get retired agency workers with crucial experience back on the job. And using private companies allows the government to surge on manpower in times of crisis without adding permanent employees who may be not be needed in the long run. “If I’m the government, I can hire this database administration contractor because I have the money right now…and if I don’t have the money in a couple of years, I can just cut the contract,” said Charles Faddis, a retired CIA operations officer who is now a consultant who does work for the government. 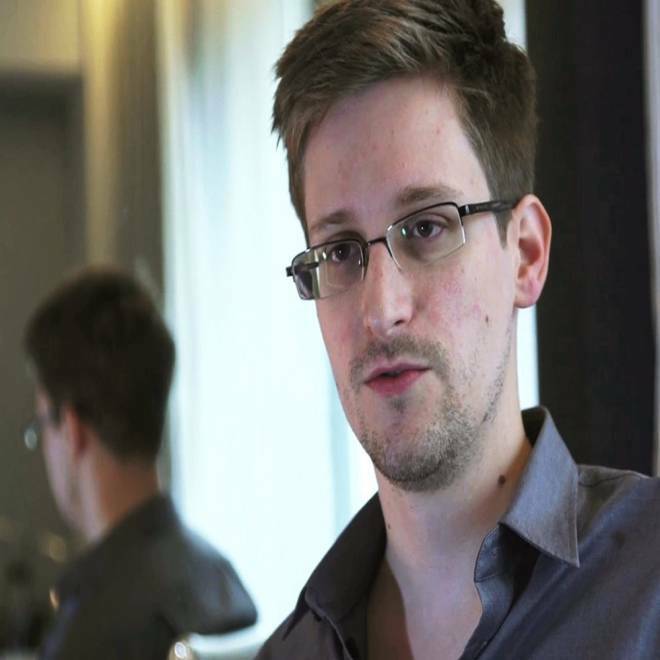 In the wake of Snowden's actions, the financial worries are taking a back seat to security concerns. While contractors and government workers go through the same process for security clearances, Snowden’s ability to cull and share information about secret programs raises the question of how private companies vet and monitor their hires. Faddis said the explosion in information technology that drove the hiring of Snowden and his ilk also means they have access to such a tremendous amount of data that a single breach could make Daniel Ellsberg’s Pentagon Papers look like a post-it note. 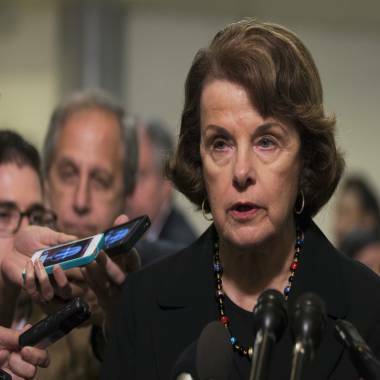 Sen. Dianne Feinstein, D-Calif., chair of the Senate Intelligence Committee, said there will be legislating limiting contractors' access to some information. There are vague calls for a clampdown. Senate Intelligence Committee Chair Dianne Feinstein said Thursday the public can expect "legislation which will limit or prevent contractors from handling highly classified technical data." The government, of course, is not leak-proof. Snowden, a onetime Army recruit, says he had worked directly for the CIA before Booz Allen and other private firms, and Bradley Manning wore an Army uniform. “There is no empirical evidence that contractors are better or worse than people in the military or the government,” Schooner said. But William Arkin, who has written extensively on intelligence outsourcing, told NBC “Nightly News” that some of the contractors are different from government employees. “They’re not motivated necessarily by patriotism. They’re not motivated necessarily by a scar of 9/11. This is a job,” he said. It’s unclear whether there will be more or fewer of those jobs when the smoke clears from the Snowden case. Many of the big multibillion-dollar contracting corporations have lobbyists. Some of their top executives worked for the CIA or NSA and retain close ties to the intelligence agencies. The concept of a smaller government is still prized by politicians, and the demand for intelligence services is not waning.